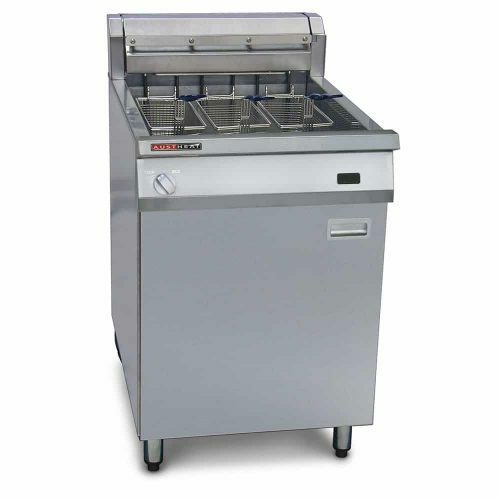 So having commercial floor standing deep fryers in your business makes life easy cooking up fried foods. 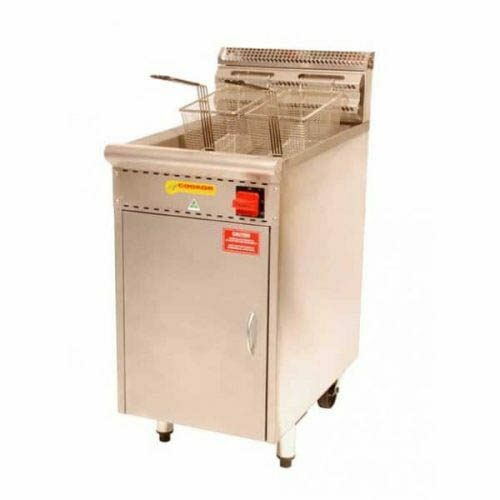 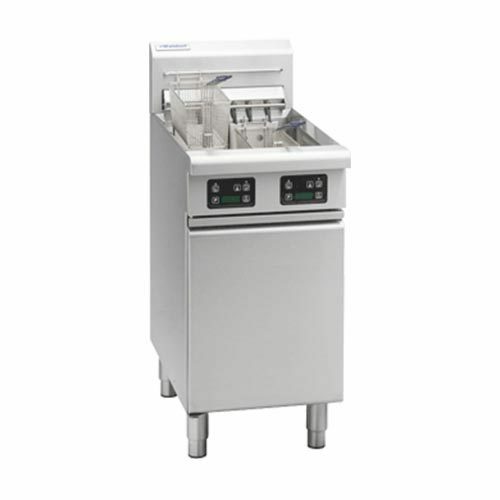 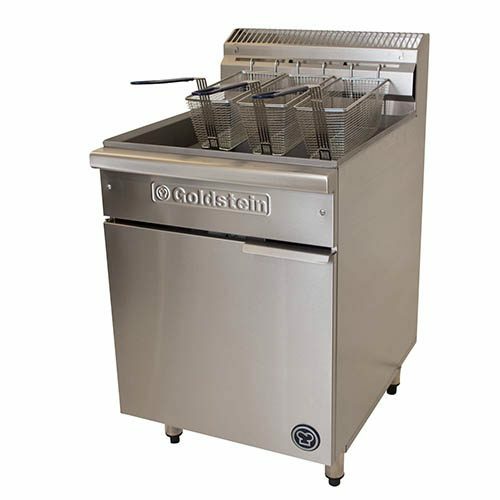 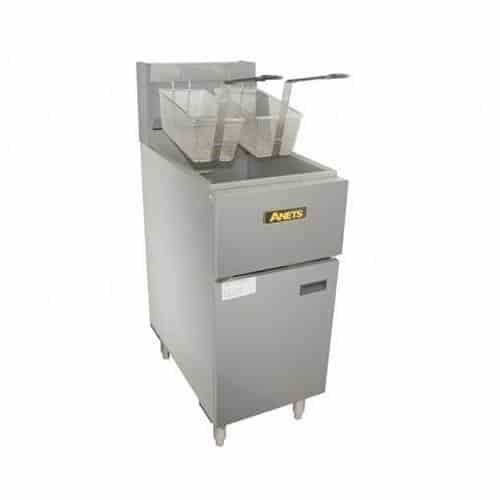 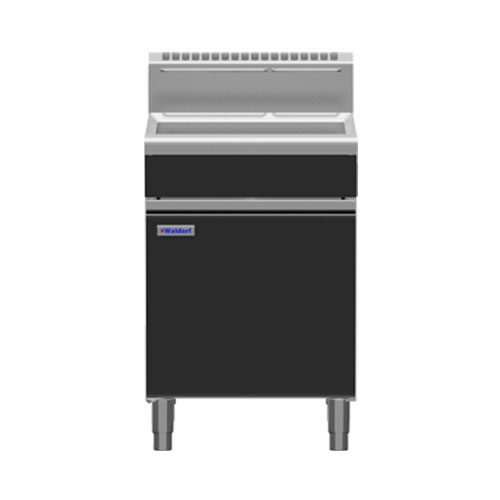 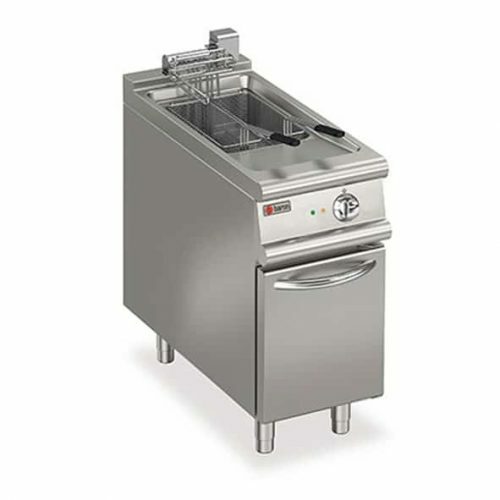 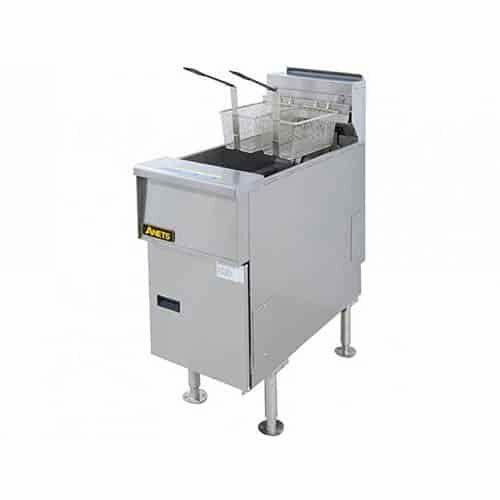 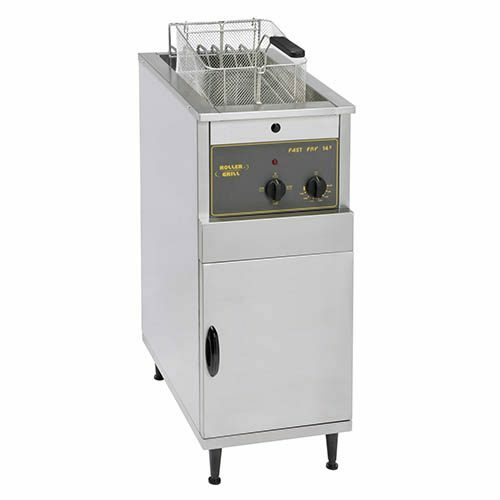 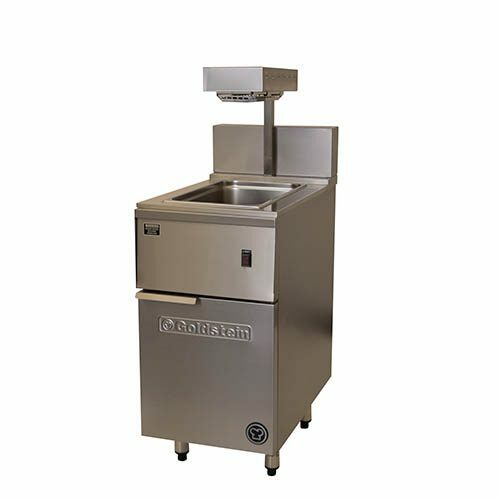 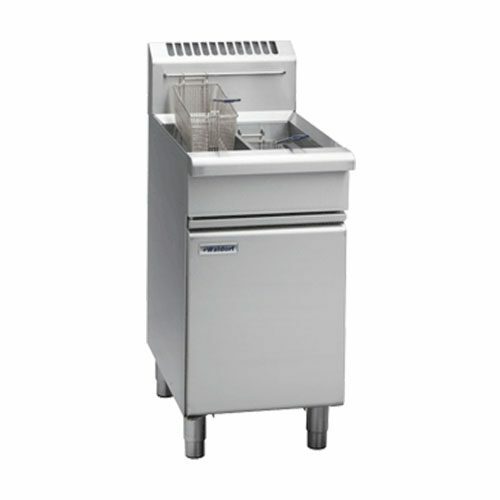 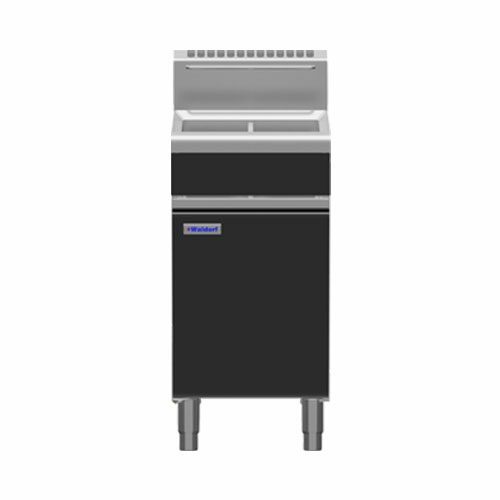 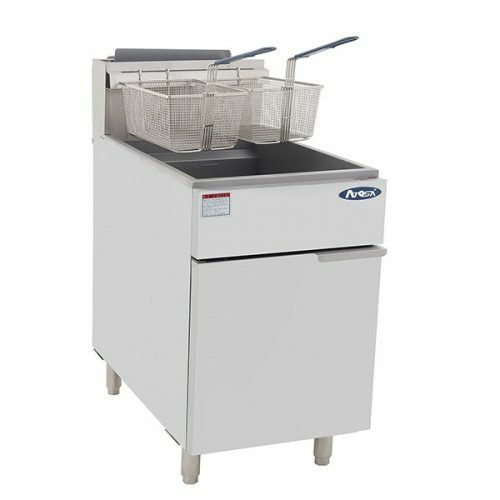 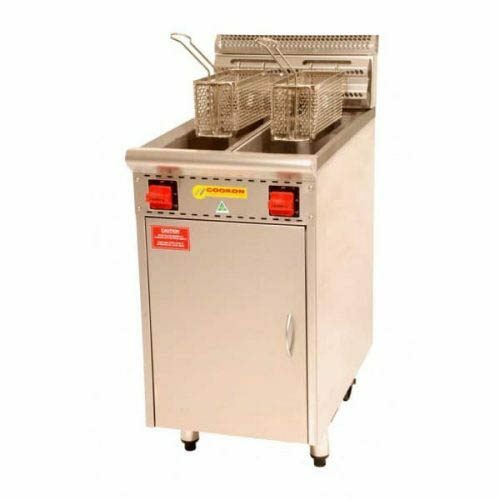 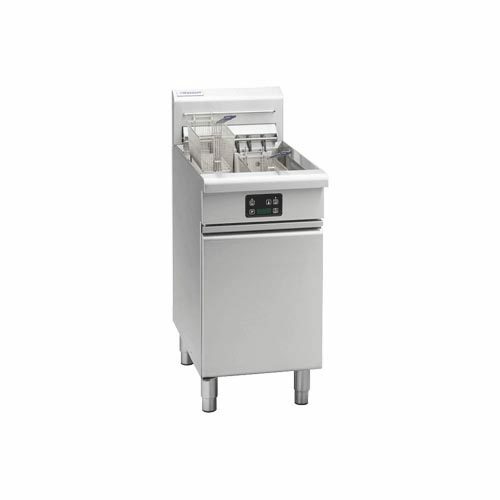 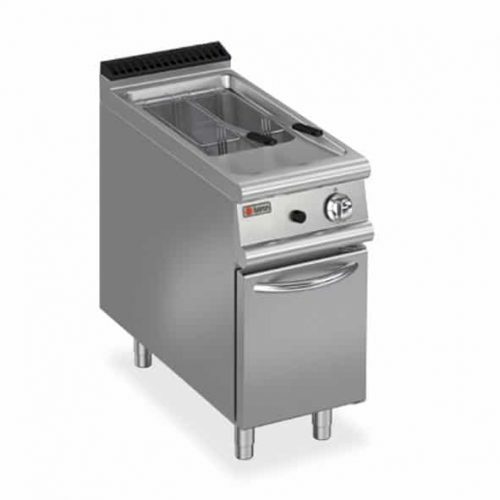 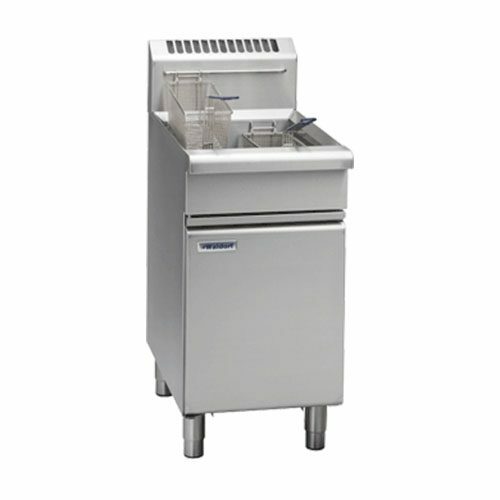 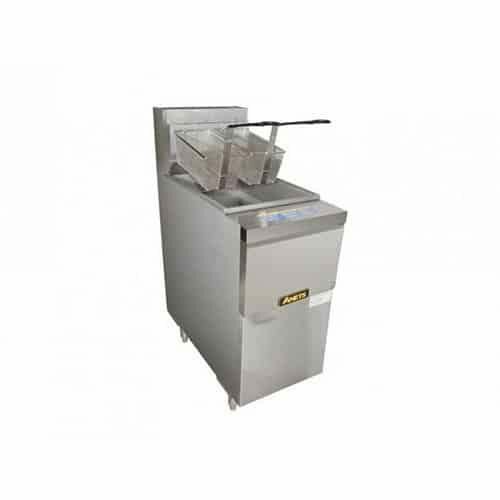 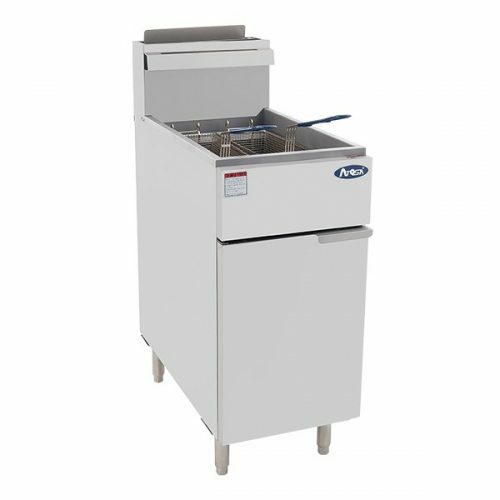 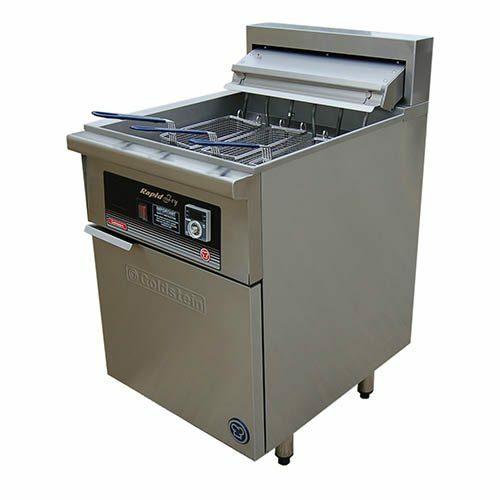 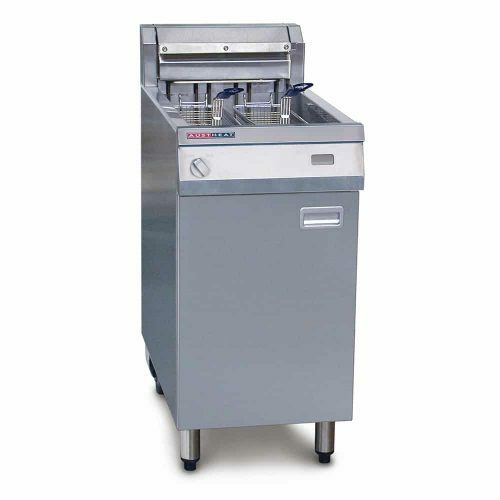 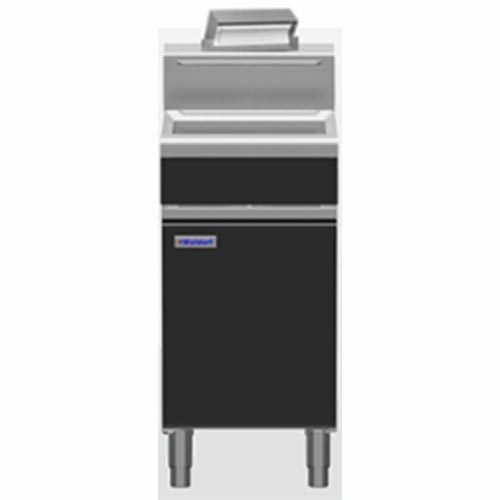 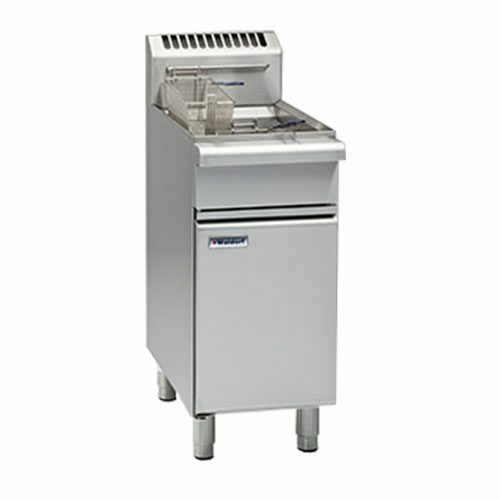 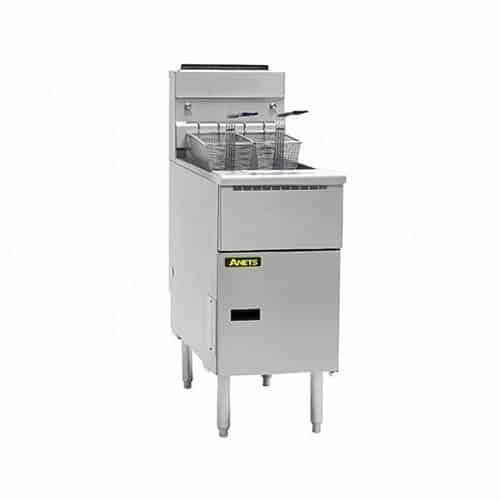 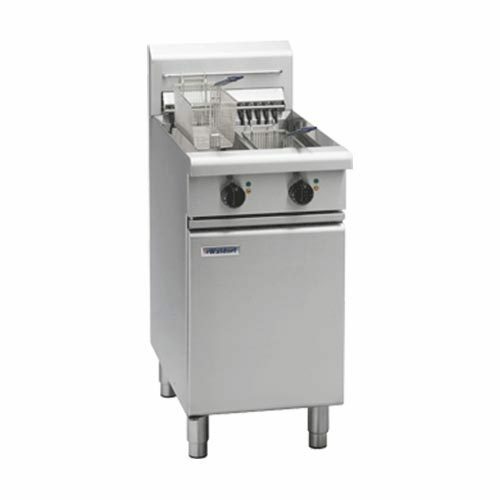 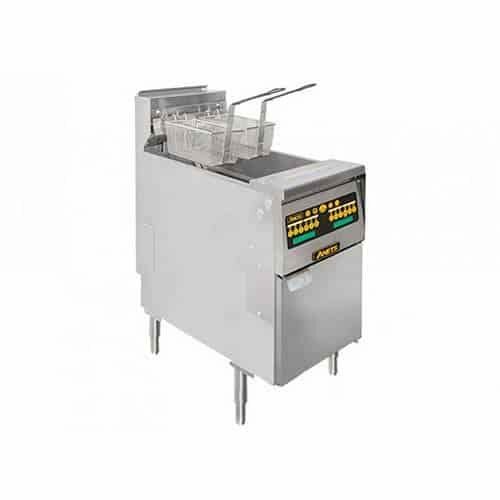 Commercial deep fat fryers perfect for any high-volume kitchen, takeaway shop, and café. 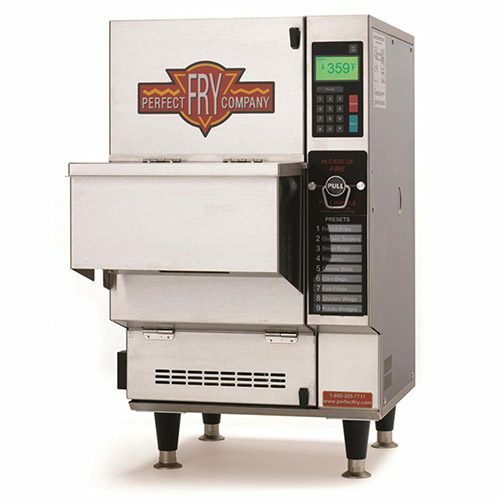 You can always search our large range of countertop deep fryers if you need something smaller with not as large capacity. 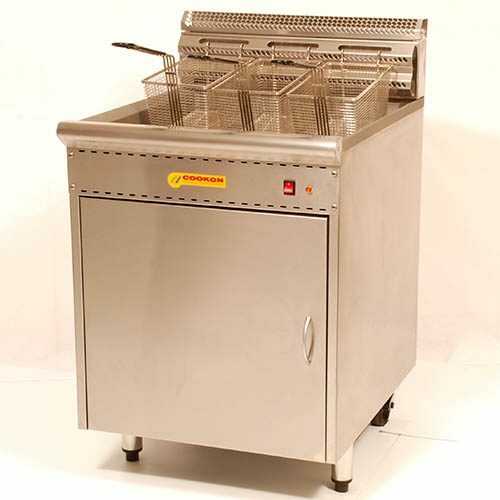 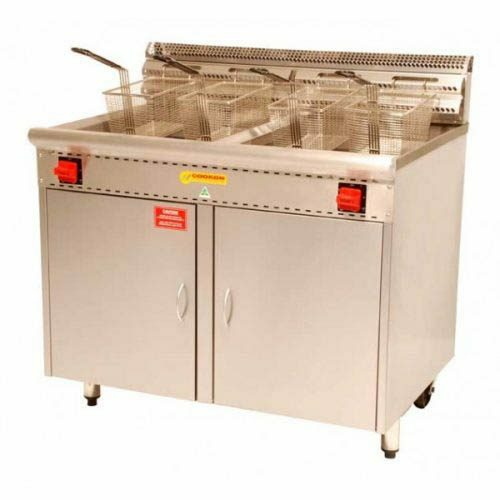 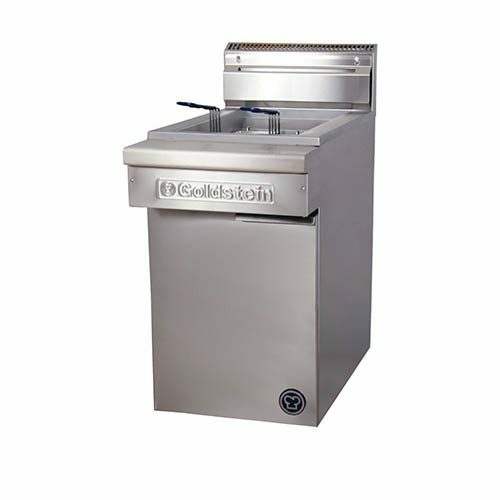 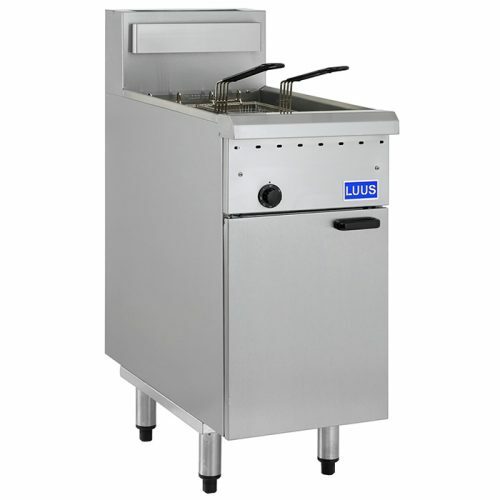 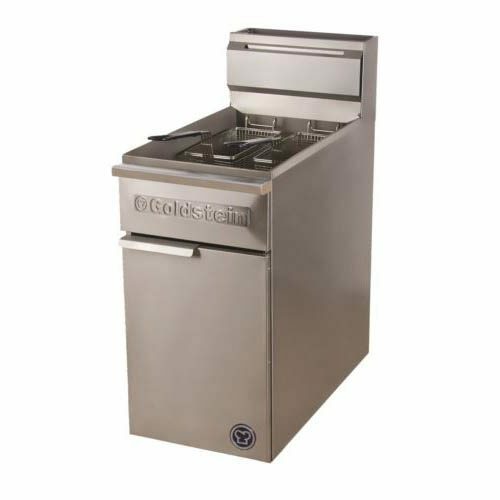 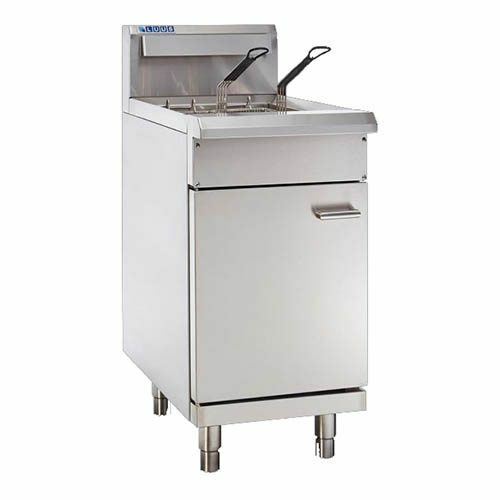 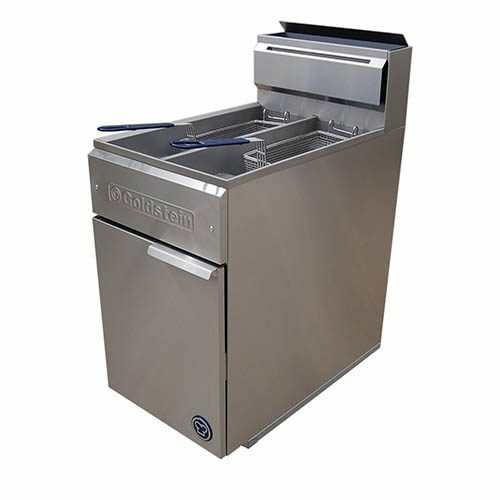 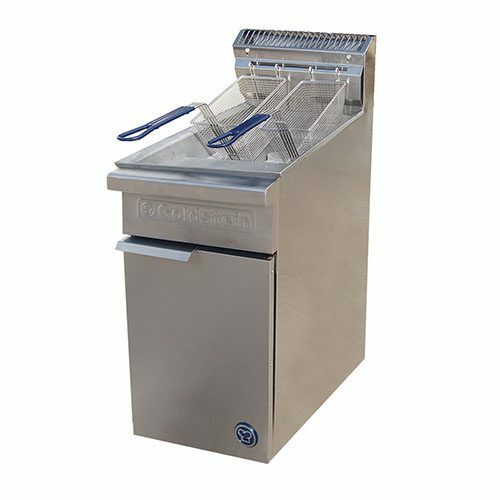 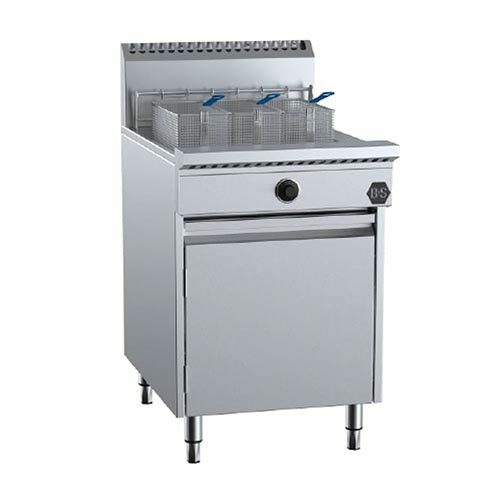 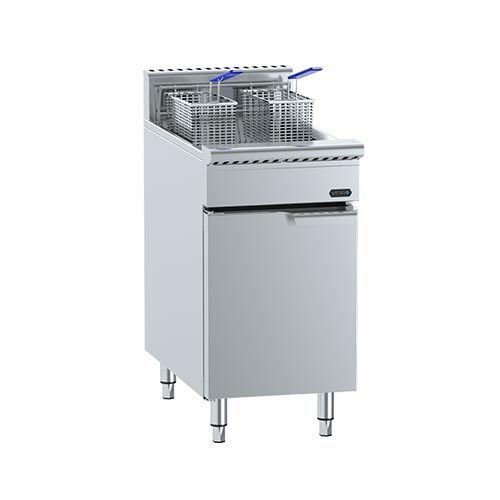 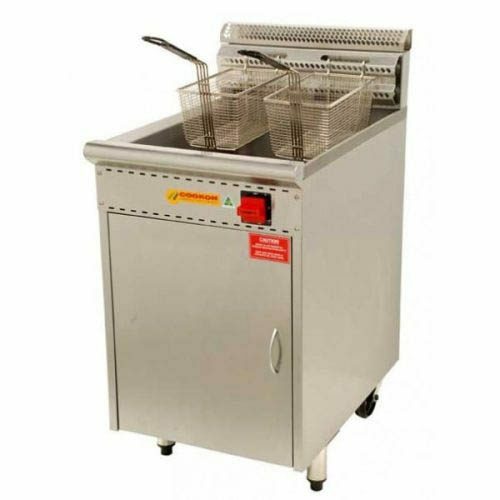 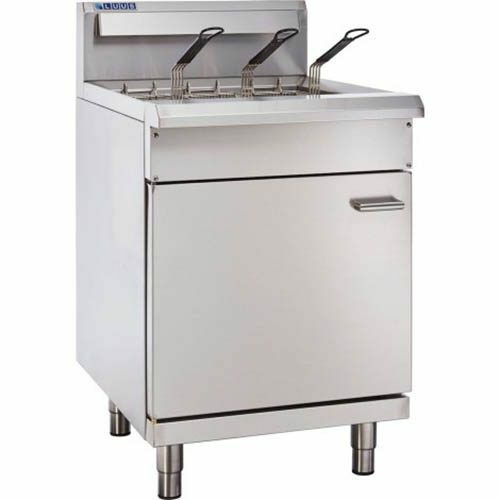 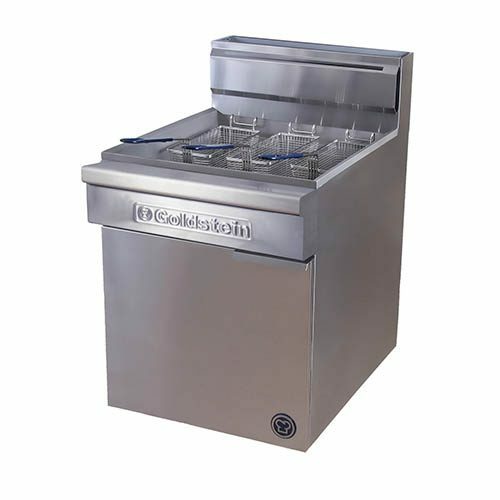 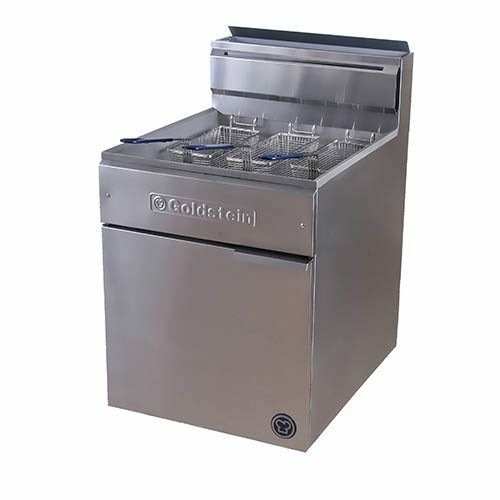 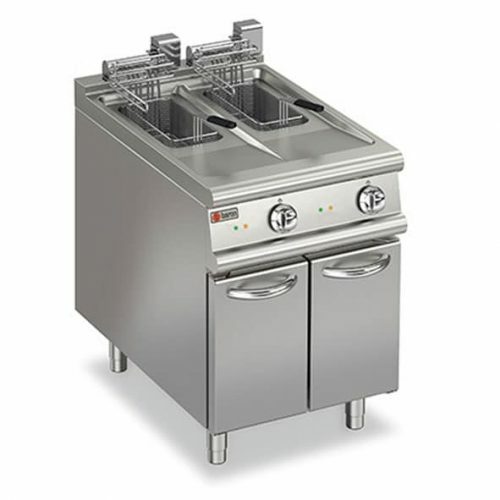 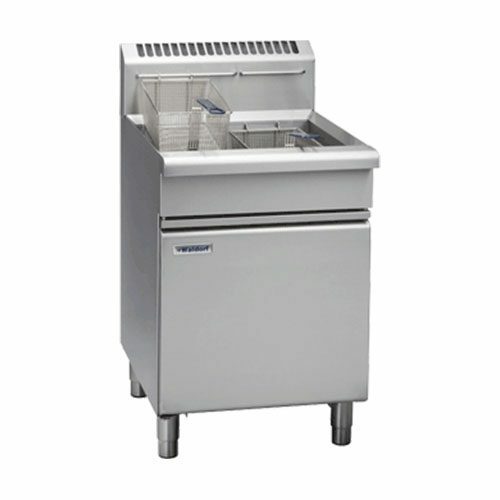 Floor standing commercial deep fryers come in a range of single pan, double pan and also in triple pans. 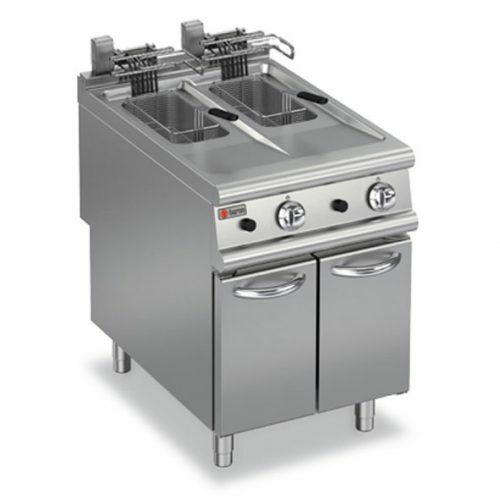 Each pan has a set of fryer baskets to go with it. 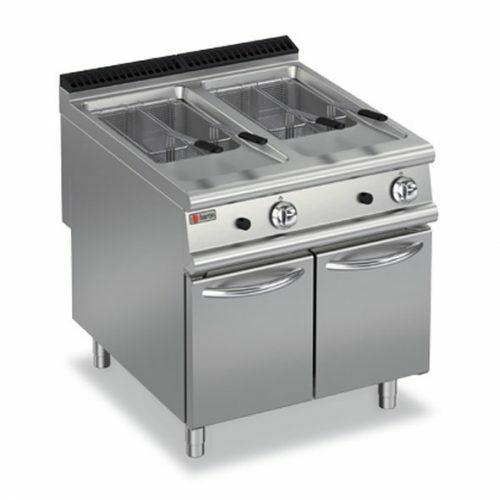 Most of the time each pan has its own thermostat so you can adjust the temperature on these. 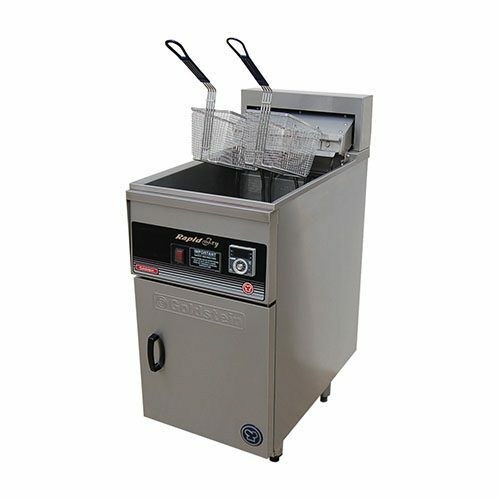 So you can simultaneously be cooking fries in one pan and chicken wings or fried fish in the other without flavour transfer in the cooking process. 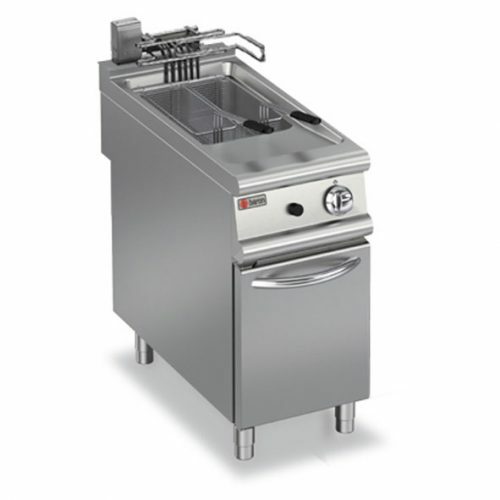 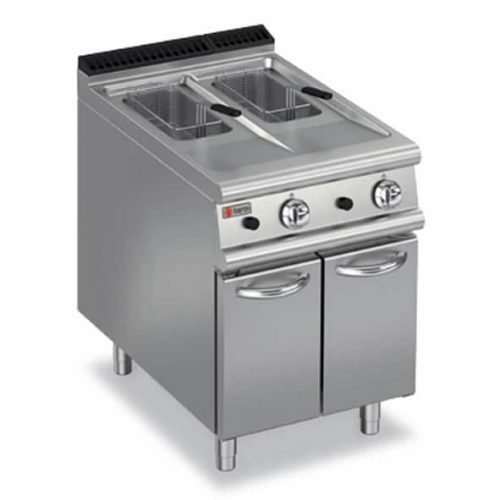 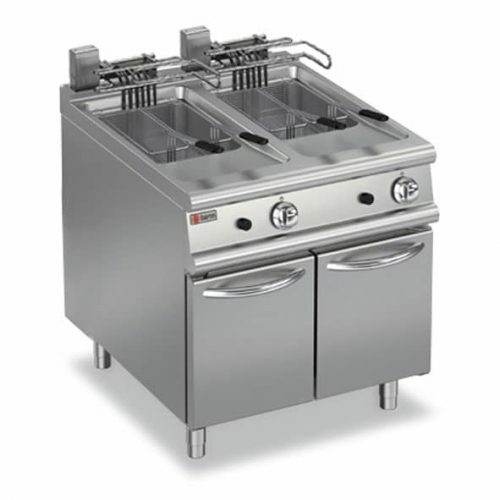 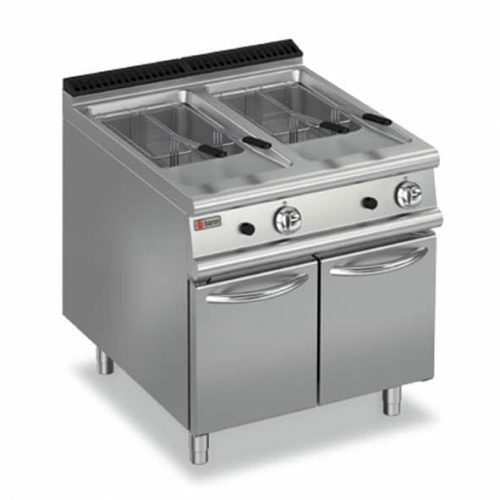 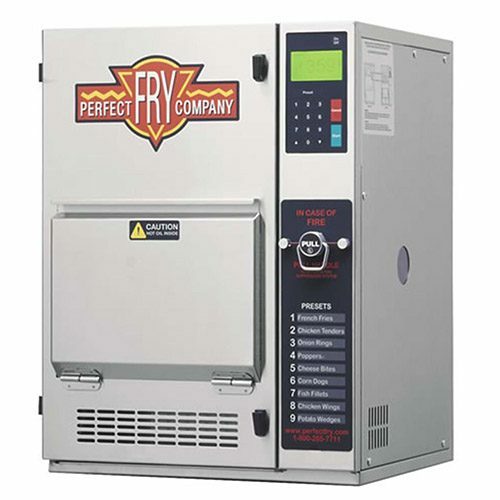 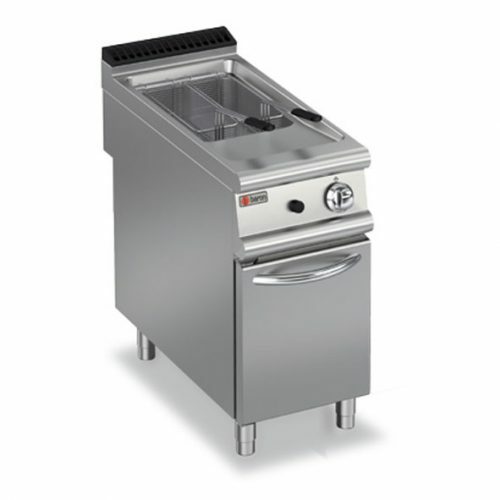 Fryers come available in electric and gas models. 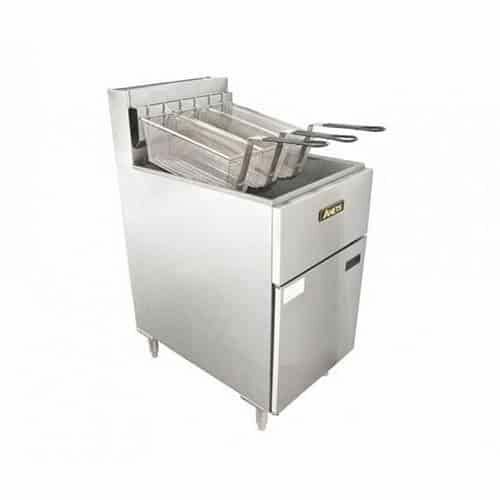 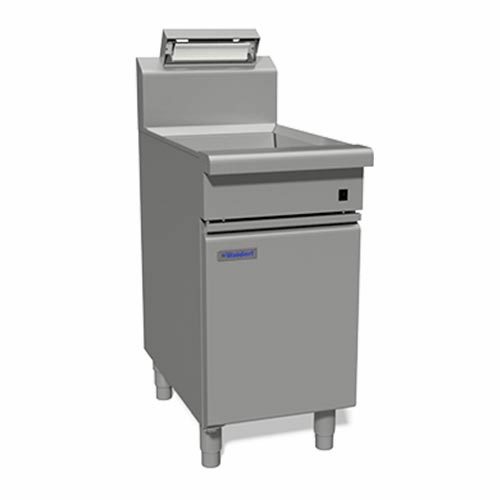 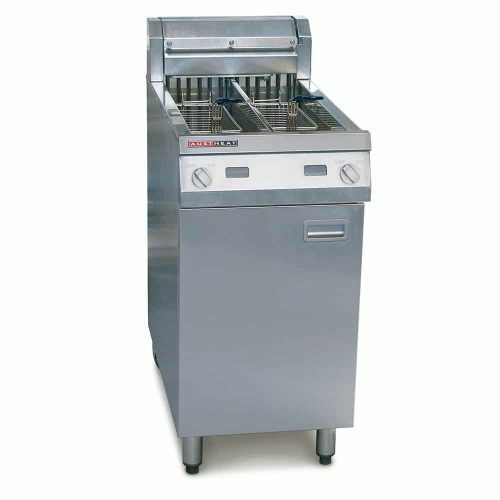 Commercial fryers are manufacturing from incredibly durable materials like steel or stainless steel. Designed like this so they can withstand the test of time and even in your busy commercial kitchen.